Leftover bananas can sneak up on you. It seems like one day they are firm, yellow and delightful and the next day they are dark brown and overripe. Thankfully bananas are very versatile. They are fantastic for baking, making smoothies and drinks and even in savory dishes. I enjoy making banana bread with my overripe bananas and have posted my favorite version here. This time I wanted to make some muffins that were healthy AND delicious with some chocolate thrown in to make it special. I used mini chocolate chips because 1/2 cup goes a long way and feels like there is a lot more than there is! They turned out moist, flavorful and delicious. 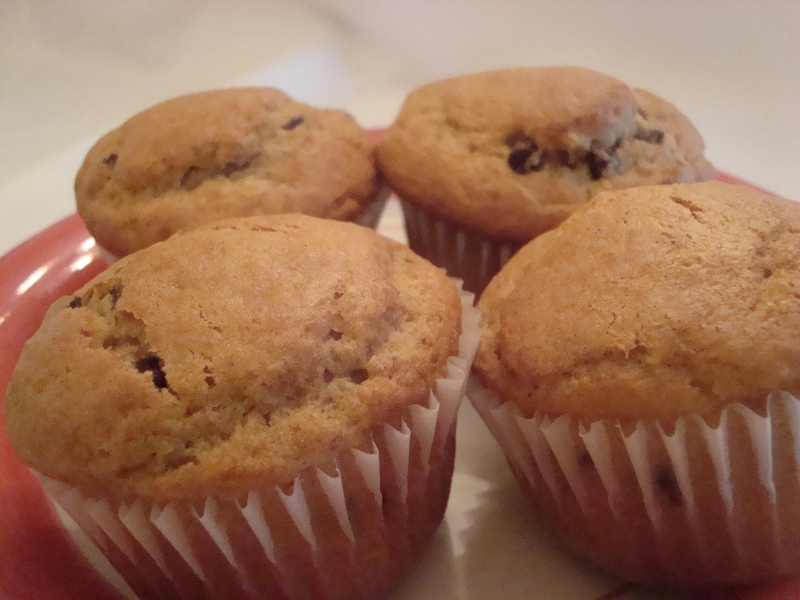 This recipe makes one batch of 12 muffins. 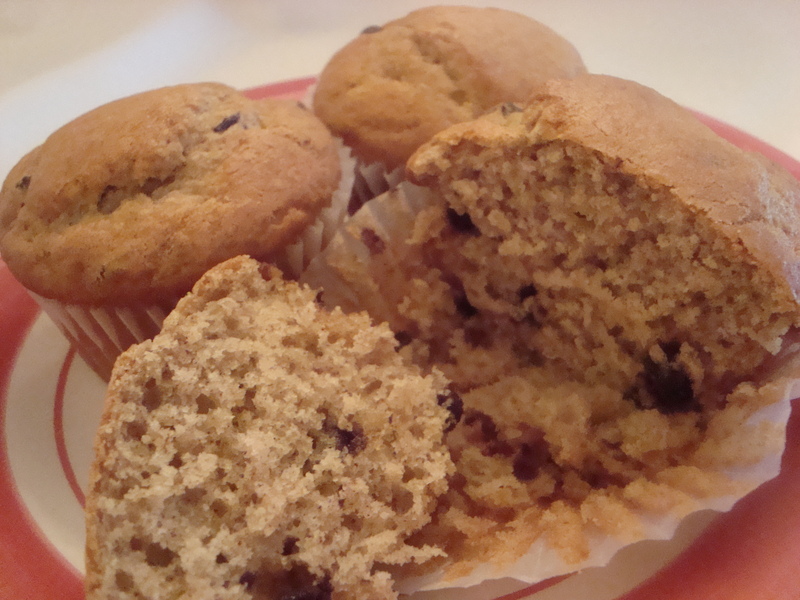 If you get up early, you can throw the ingredients together stick it in the oven and go for a 22 minute run and come back to incredible warm muffins for breakfast. It’ll improve your performance (guaranteed) when you know such deliciousness is waiting for you! Pre-heat oven to 350° F. In a large bowl mix the flours, sugars, baking powder, cinnamon, ginger and salt. 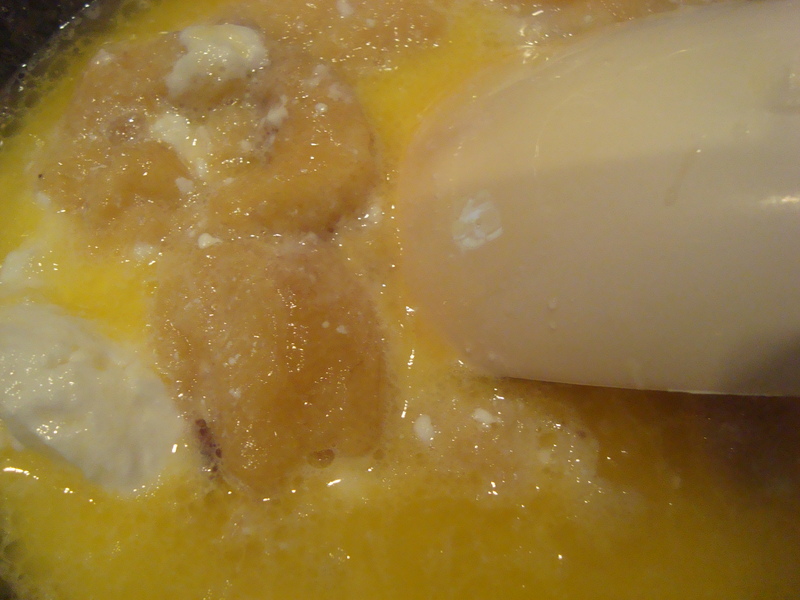 In a separate mixing bowl, combine the mashed bananas, baking soda, egg, melted butter, milk and yogurt until well incorporated. 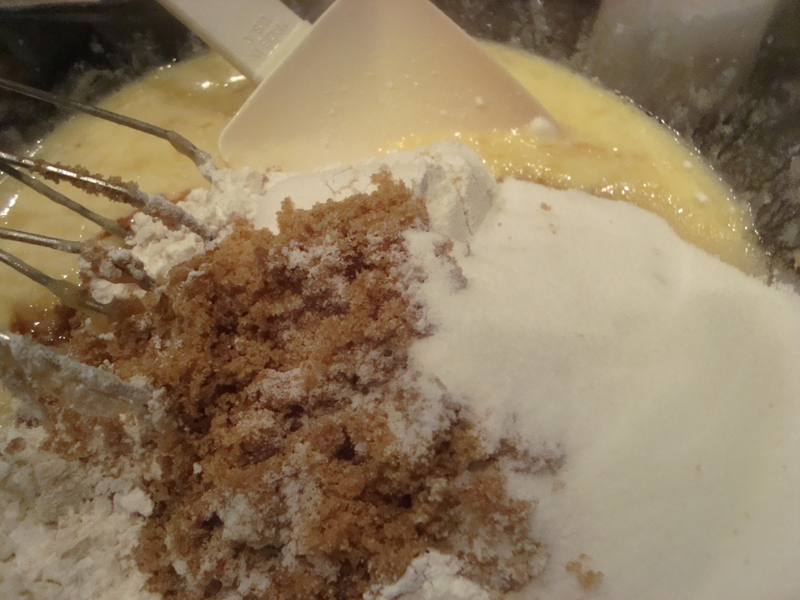 Stir the banana mixture into the dry ingredients until just blended (don’t over mix). Stir in the mini chocolate chips. 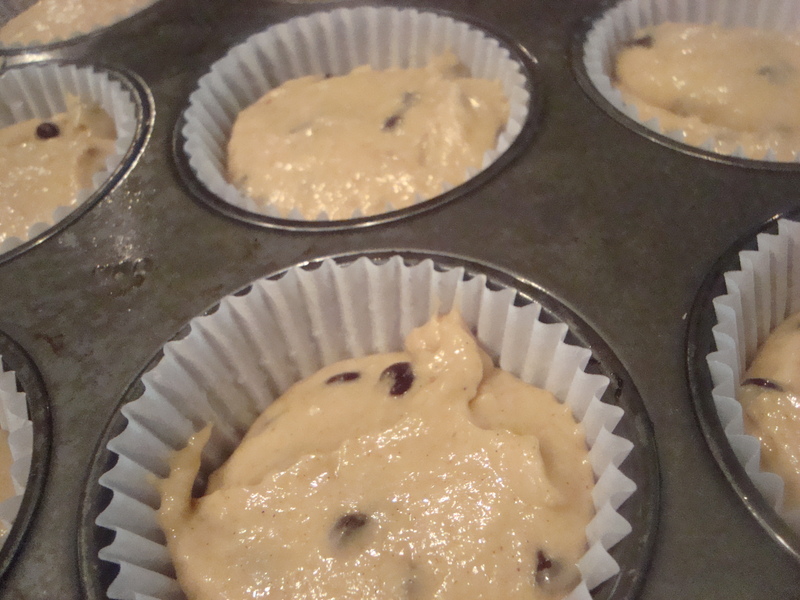 Line a muffin pan with paper liners and using an ice cream scooper fill the muffin cups 3/4 full. Bake the muffins for 30 minutes until golden brown. Transfer the muffins to rack to cool for 15 minutes.